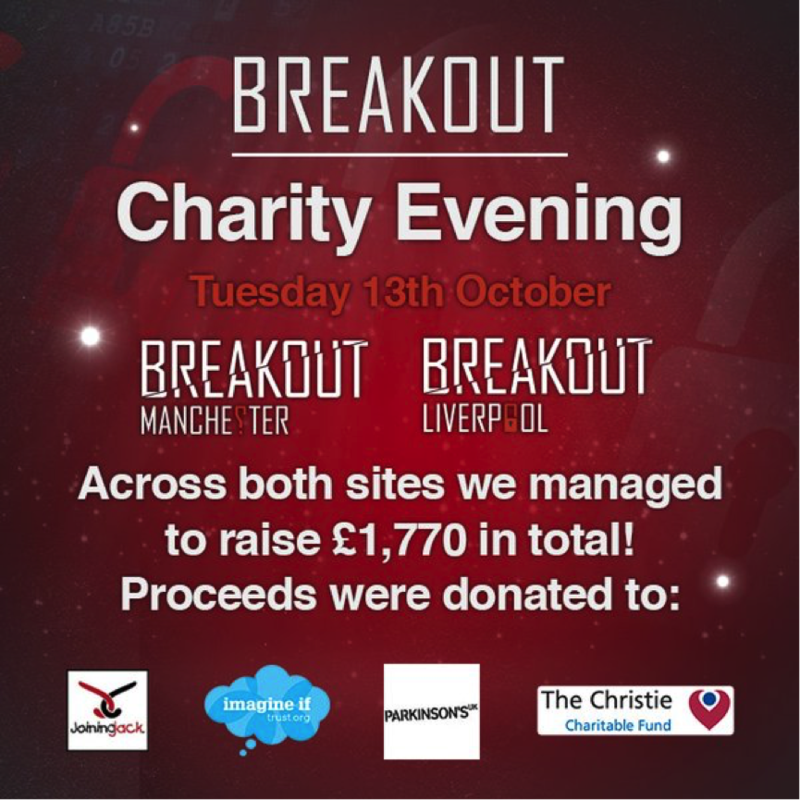 Last month Breakout hosted another charity day across both of our sites. Here in Manchester all our proceeds went toward The Christie Charity and in our Liverpool site we supported Imagine If. Lots of fun was had by all who came to play and in Manchester we raised a grand total of £900! The team with the quickest escape time also won a lovely hamper. We raised money for The Christie on our last charity day, alongside other charities, way back in March and we were proud to help raise money for them again. The Christie is a national cancer specialist based in Manchester and they’re largest single site cancer centre in Europe, treating more than 44,000 patients a year. On the day we took to social media and posted regular updates on how the day was going and it was a huge success.